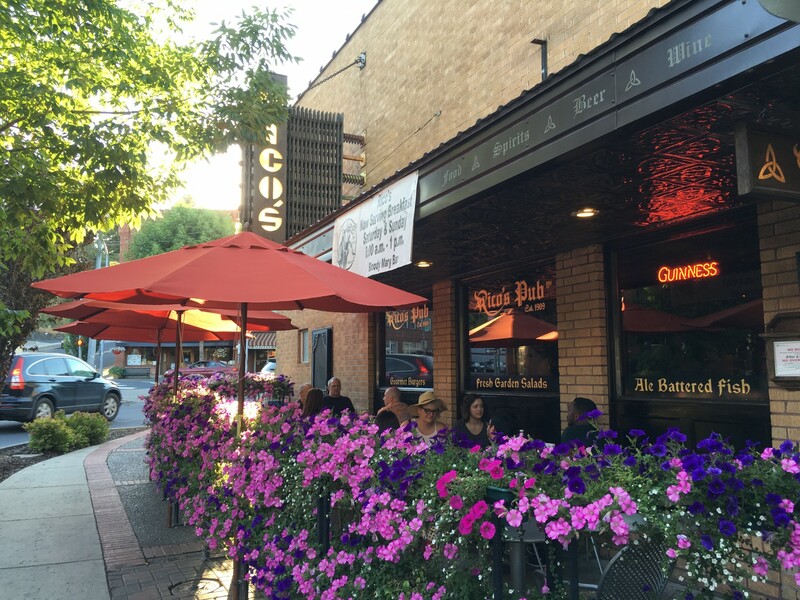 The desert land of central Washington recedes slowly and gives way to alpine forests, lakes and waterfalls. 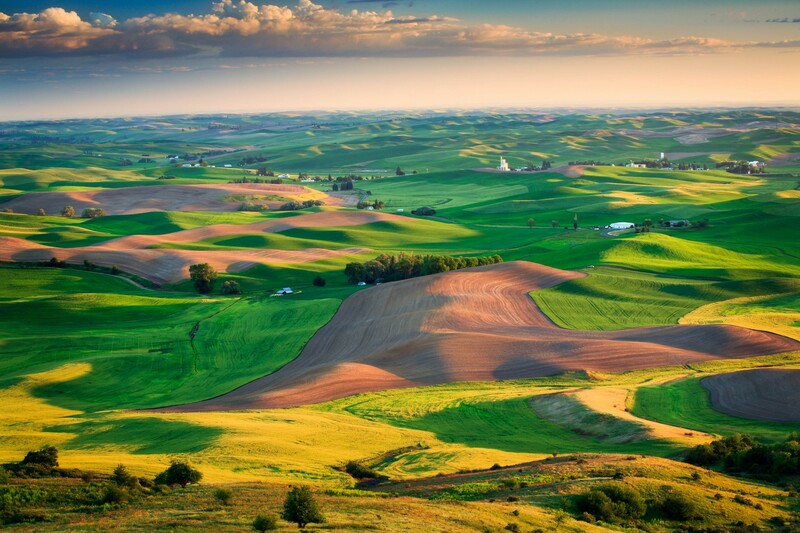 As you approach our state’s southeast corner, you’ll discover the wonderfully mesmerizing rolling wheat fields of the Palouse, some of the most productive farmland in the nation. 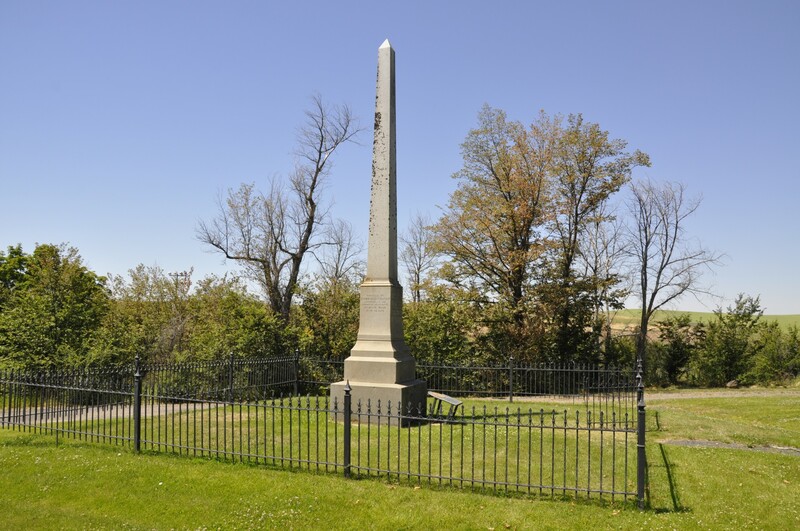 Here you’ll find scenic beauty and people with the spirit of the resourceful pioneers who first settled these farming communities. Thousands of acres of wheat blanket the rolling hills, and their color—from spring green to autumn gold—tells of the passing of the seasons. A viable agricultural region, the area holds the largest concentration of wheat per acre in the world. Barley, onions and 30 percent of the world’s lentils are grown here. The Palouse is becoming famous for biking with everything from 35 miles of paved bike paths to full-on single track mountain biking, and some great hilly low traffic road riding. The land hosts waterfalls and sudden valleys. Magnificent buttes give way to panoramic views, and the horizon seems to go on forever. A remnant of the ice-age floods and Washington State's Official Waterfall, Palouse Falls drops from a height of 198-feet with high volumes of water flow in spring and early summer. 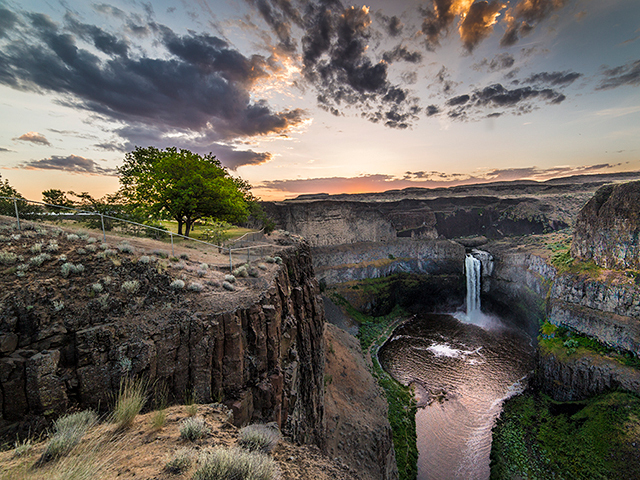 Palouse Falls State Park is a 105-acre camping park with a unique geology and history. The park offers a dramatic view of one of the state's most beautiful waterfalls. 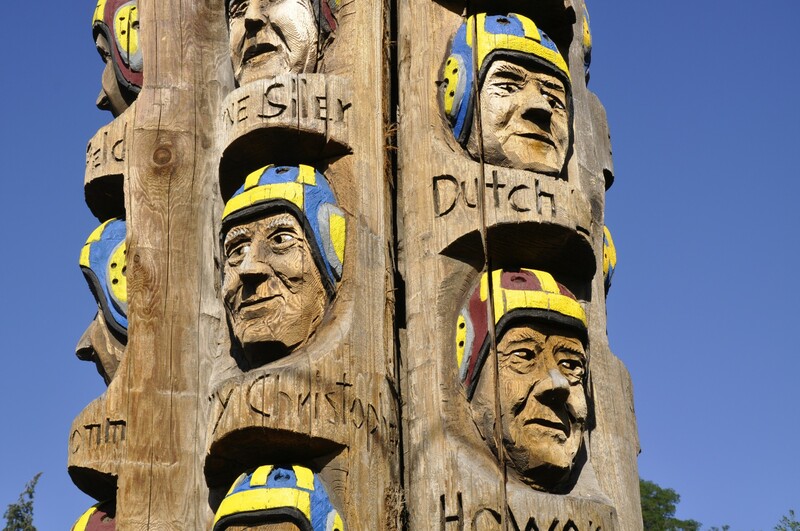 The Codger Pole, a 65-foot-tall chainsaw sculpture, commemorates a 1988 high school football rematch -- played fifty years after the first game, by the same participants. Colfax lost to St. John in 1938, but won the rematch. 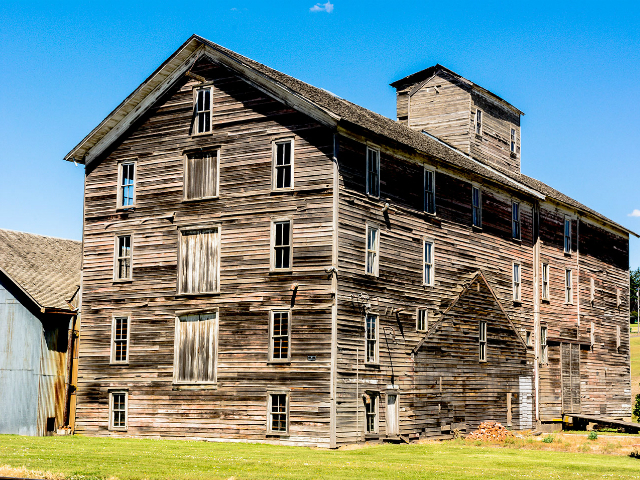 The Barron Flour Mill, owned by the Joseph Barron family for almost a century and now owned by MaryJane Butters, is the only intact flour mill remaining on the Palouse. Flour mills, all similar in size and function to the Old Mill, were built in the 1870 to 1910 period in two dozen Palouse communities, in both Whitman County, Washington, and Latah County, Idaho. Now only the Oakesdale mill remains, the best preserved flour mill in eastern Washington. High above the Palouse Hills on the southeastern edge of Washington, Steptoe Butte offers unparalleled views of a truly unique landscape. The warm quartzite bluff stands out against soft hills of green and mauve, an occasional barn dotting the landscape. Colors seem to shift and change in the light. The Roy Chatters Museum takes visitors back in time, to the life of a printer. Visitors can handset type, see the 1887 "finger snapper" press in operation, and appreciate the technological advancements in printing. 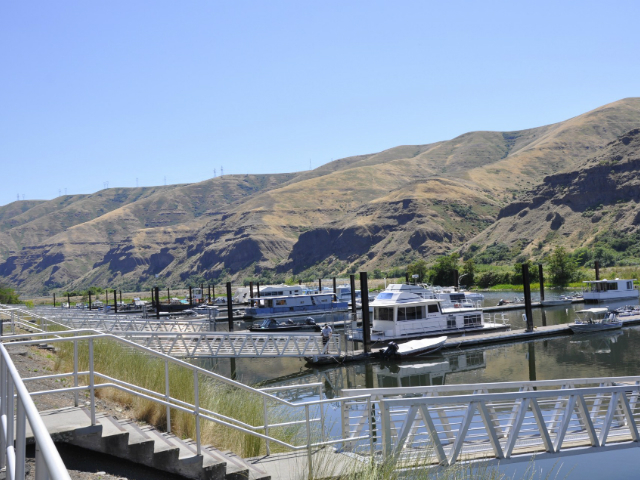 Boyer Park & Marina is located on the scenic Snake River a short 20 miles Southeast of Pullman, Washington and offers many kinds of recreational enjoyment from fishing, boating, swimming, camping, picnicking to just spending a lazy day on our sandy beach. 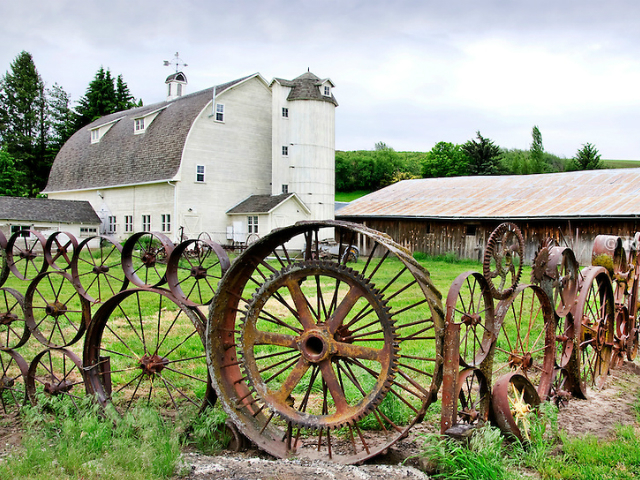 On US-195 near Uniontown, you'll see a peculiar wheel fence surrounding a stately white barn. Frank Wolf, whose family still farms in Uniontown, built the barn in 1935 for Jack Dahmen and his family who used it for a commercial dairy operation until 1953 when it was purchased by his nephew Steve Dahmen and wife Junette who converted it into an artisan workshop and gallery.